The best combination: a beautiful glass object with a practical use! 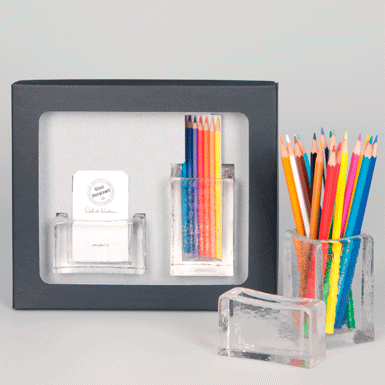 The pencil holder and matching calling card holder make a perfect and useful pair. The ideal gift!